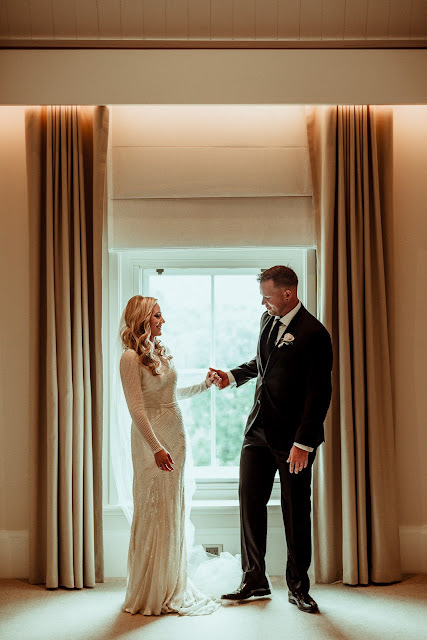 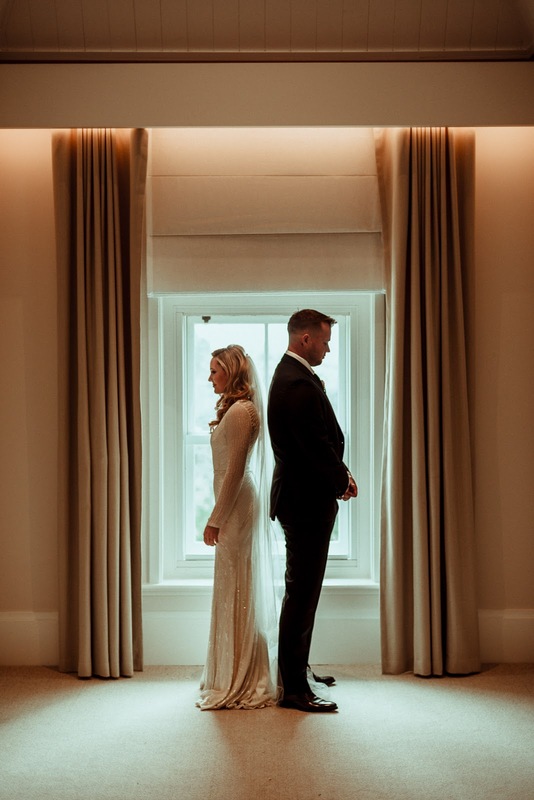 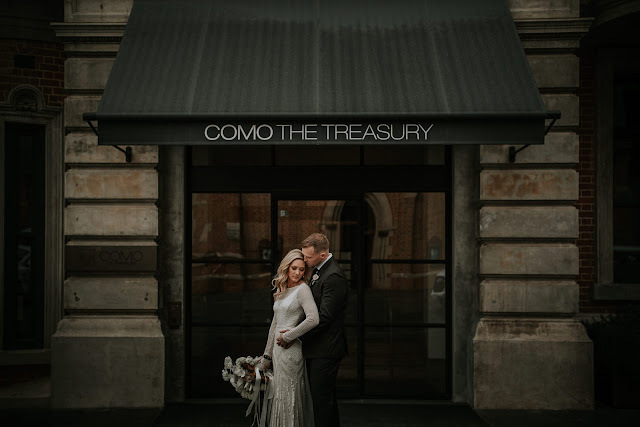 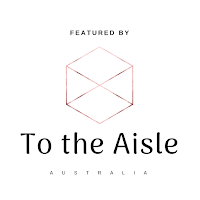 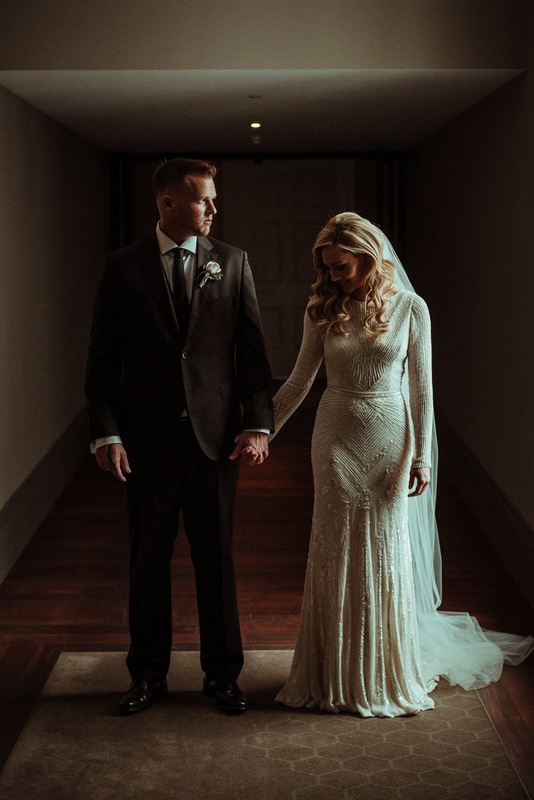 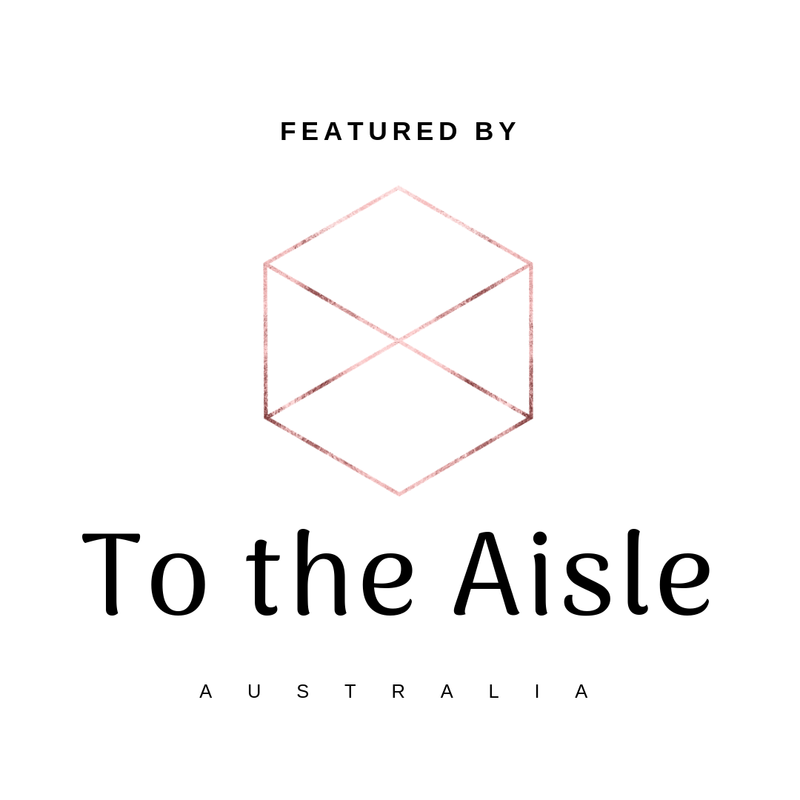 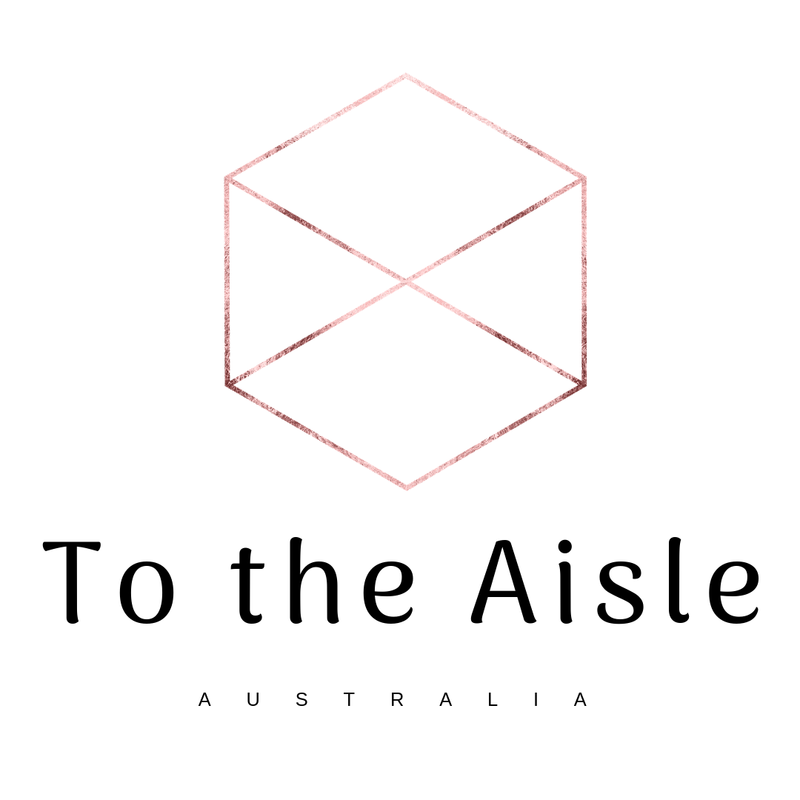 Kate and Tyson has decided that wanted their first looks on their Wedding day to be in the private setting of the Como Treasury Hotel. 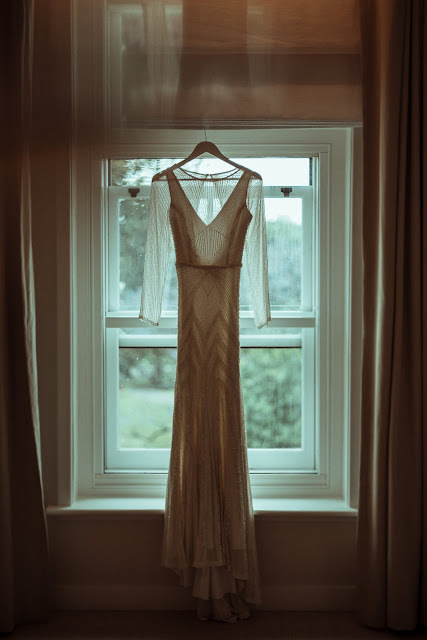 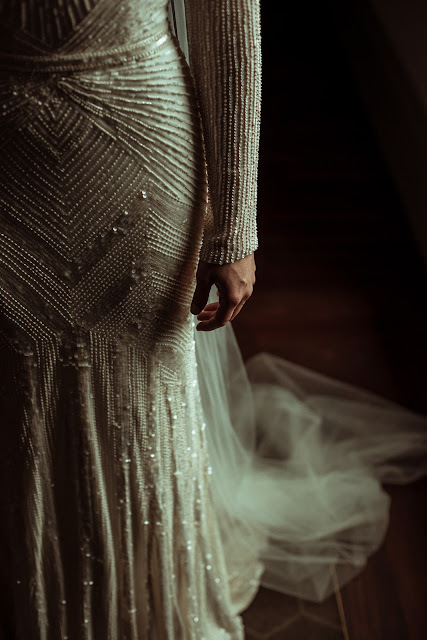 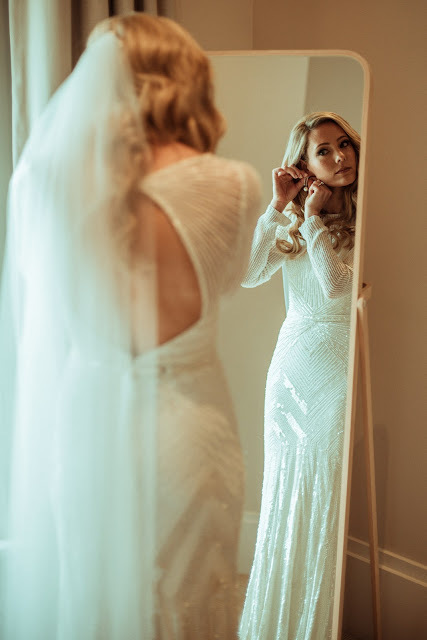 Getting ready in her KWH sequin gown to stand back to back with her husband to be Tyson and then turning to see each other for the first time on their Wedding day is about as romantic as it gets. 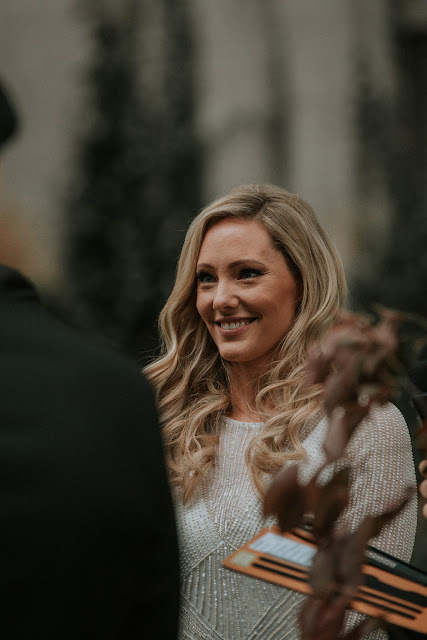 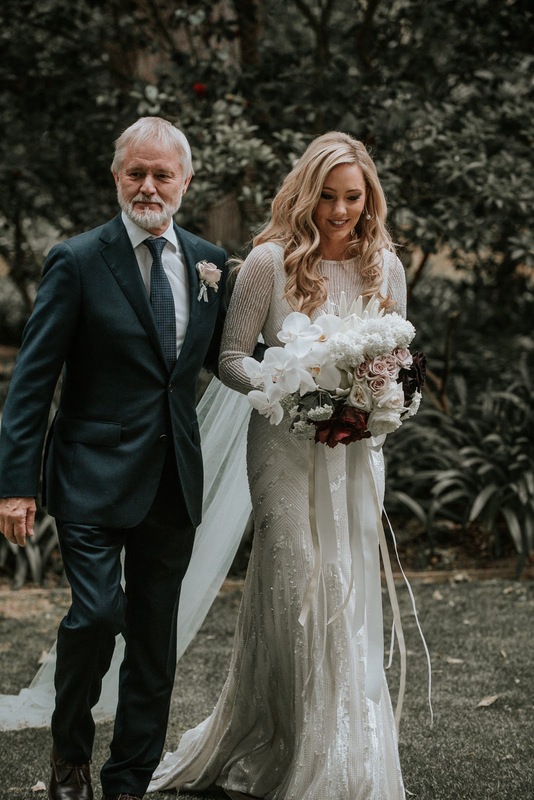 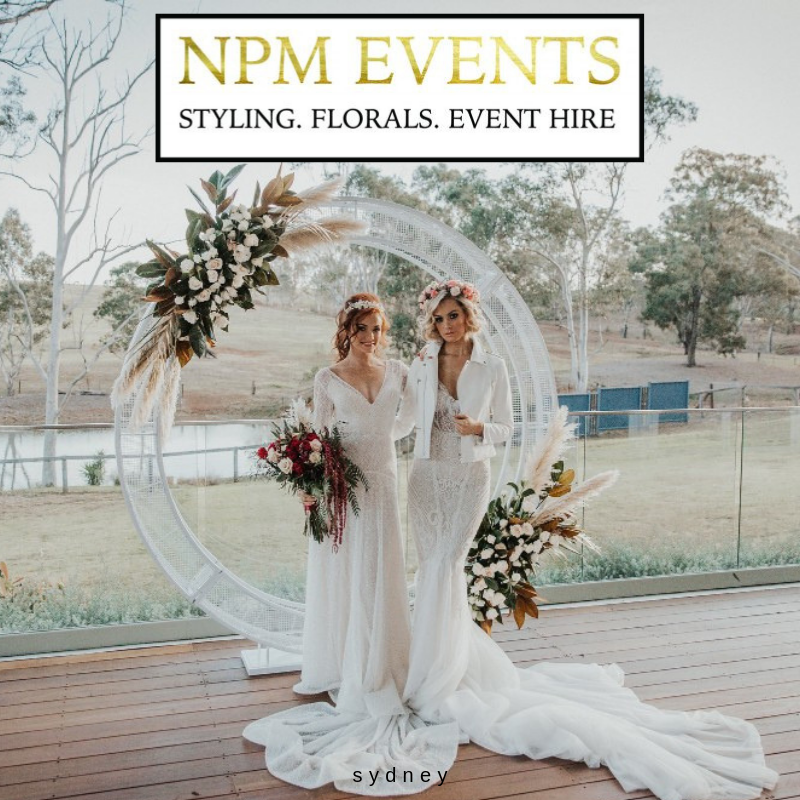 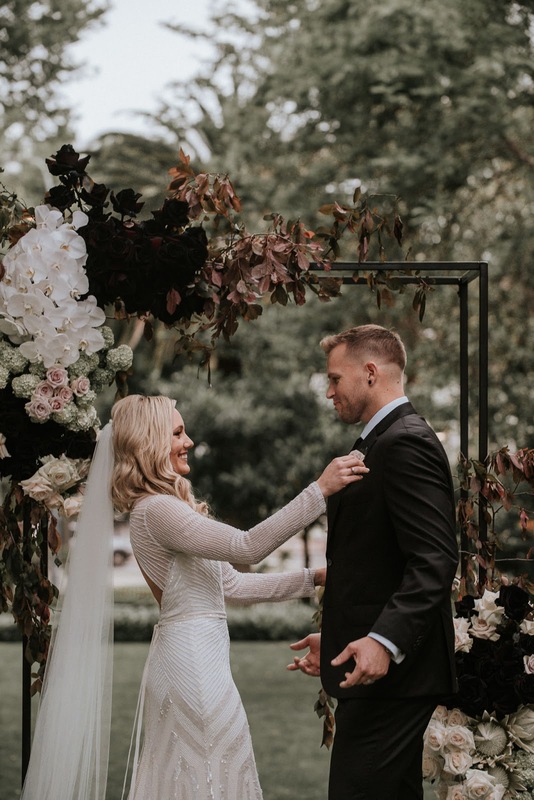 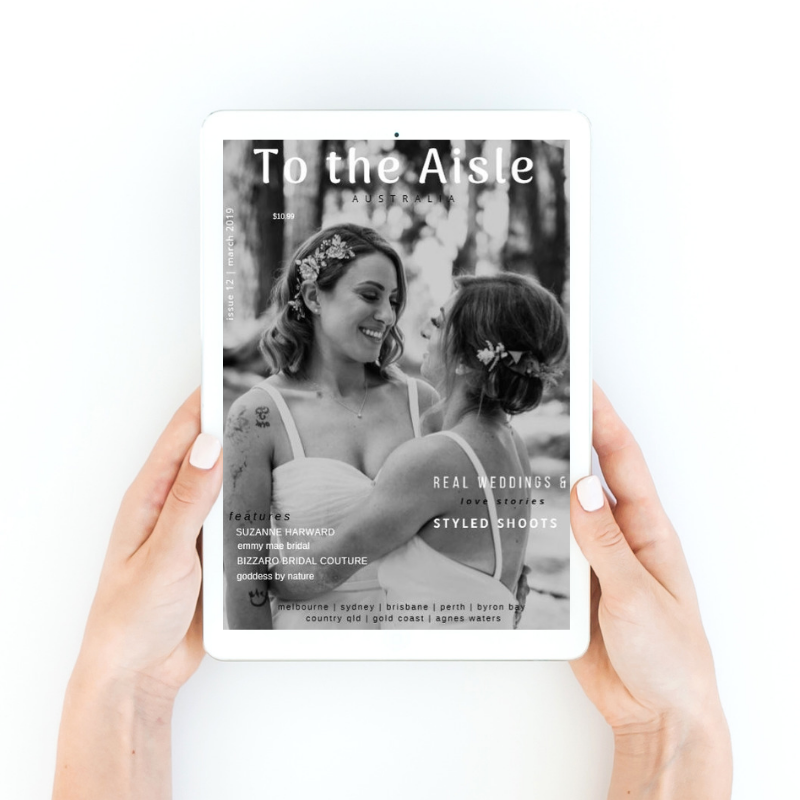 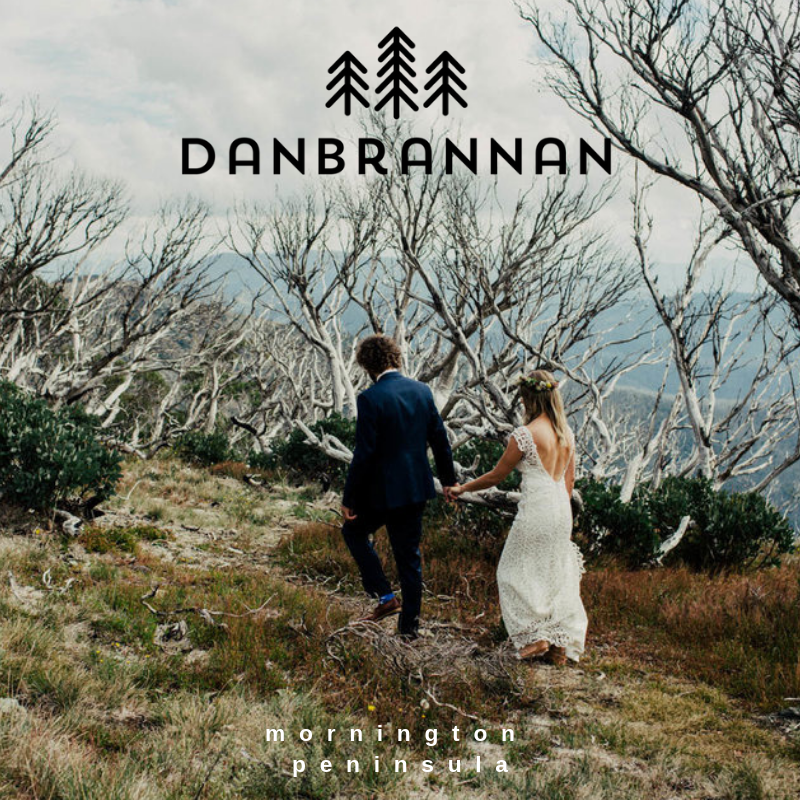 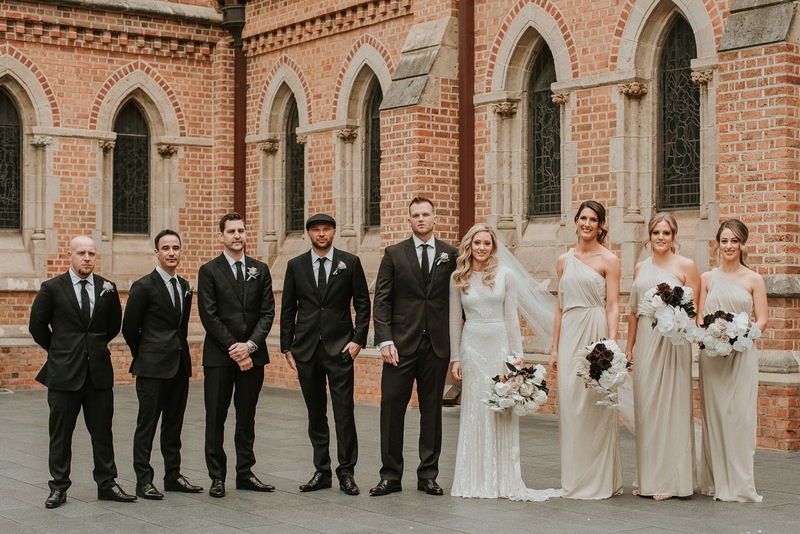 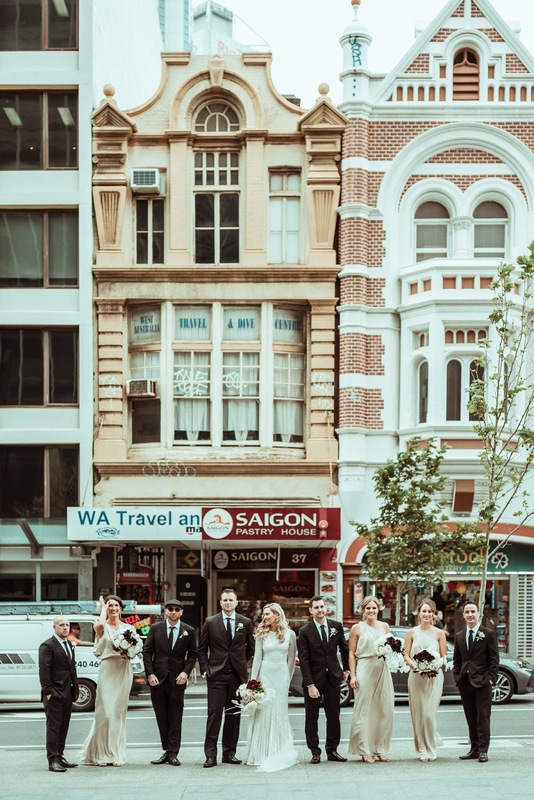 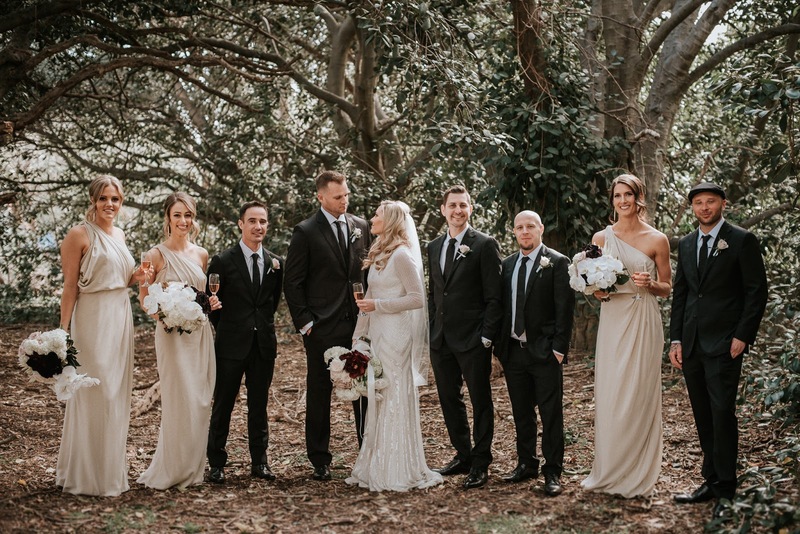 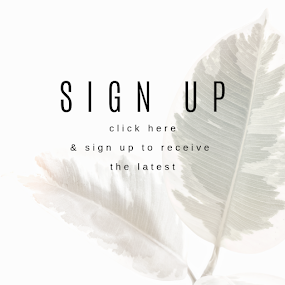 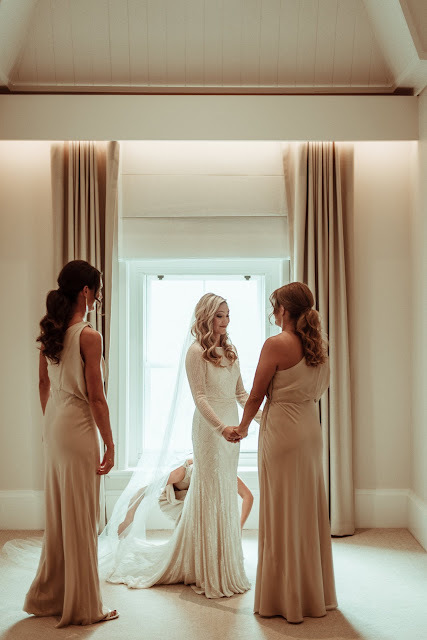 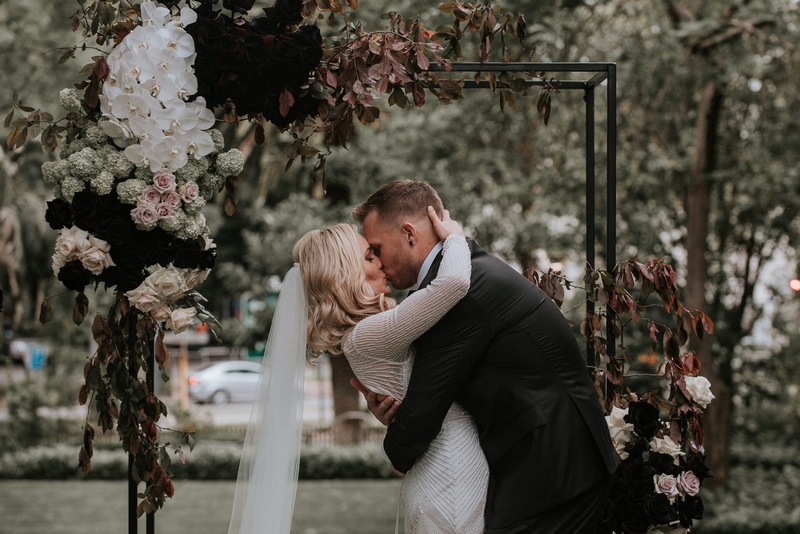 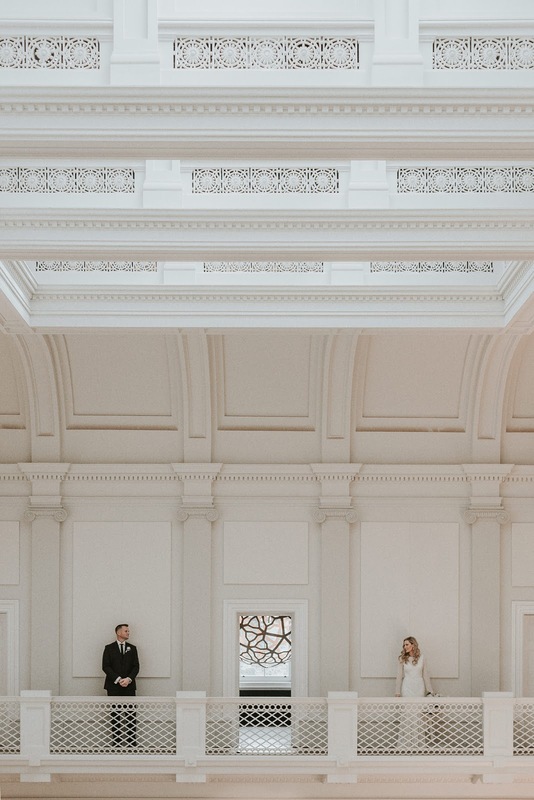 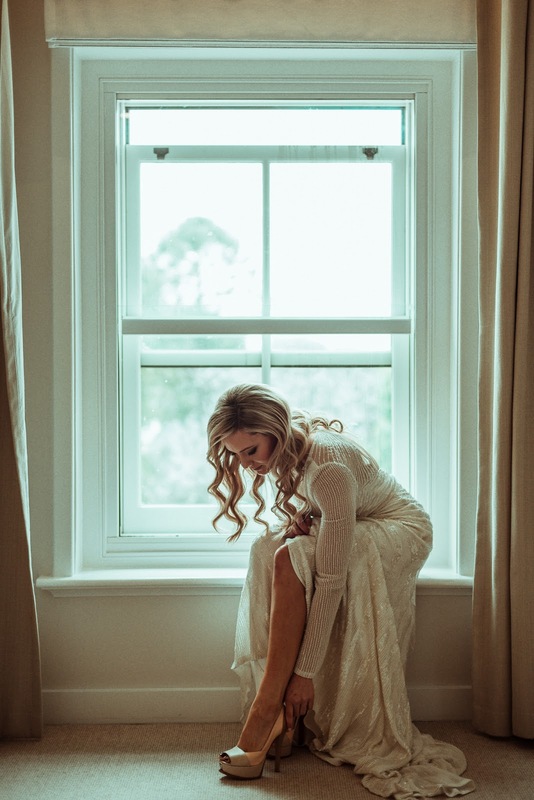 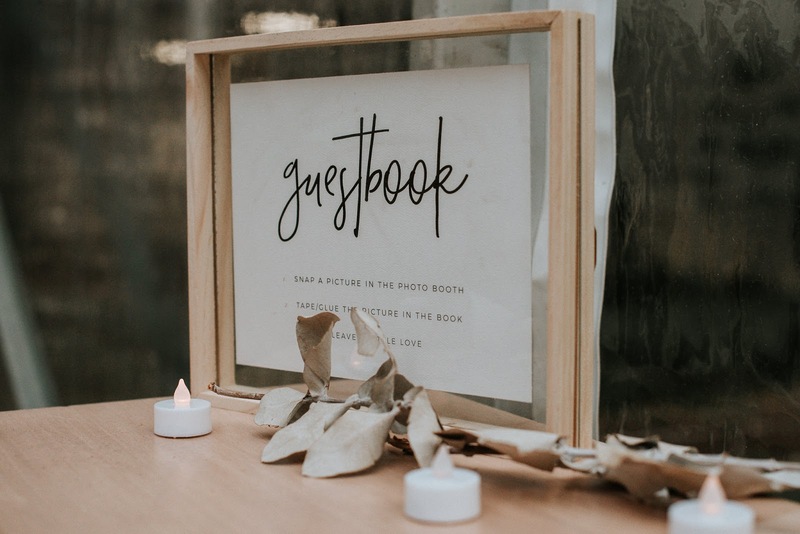 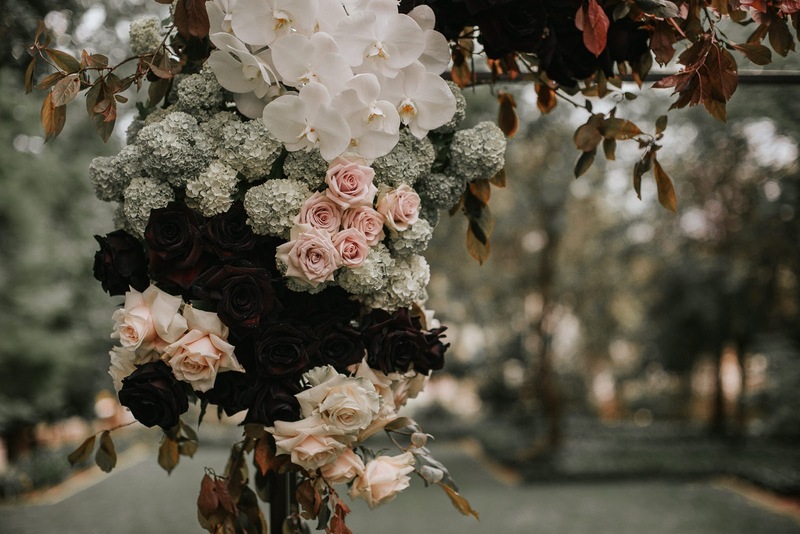 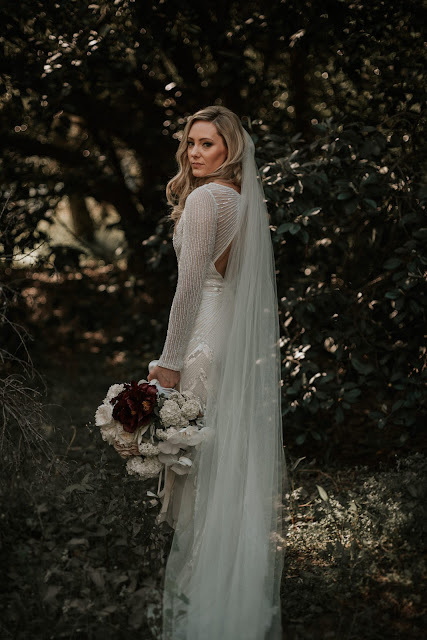 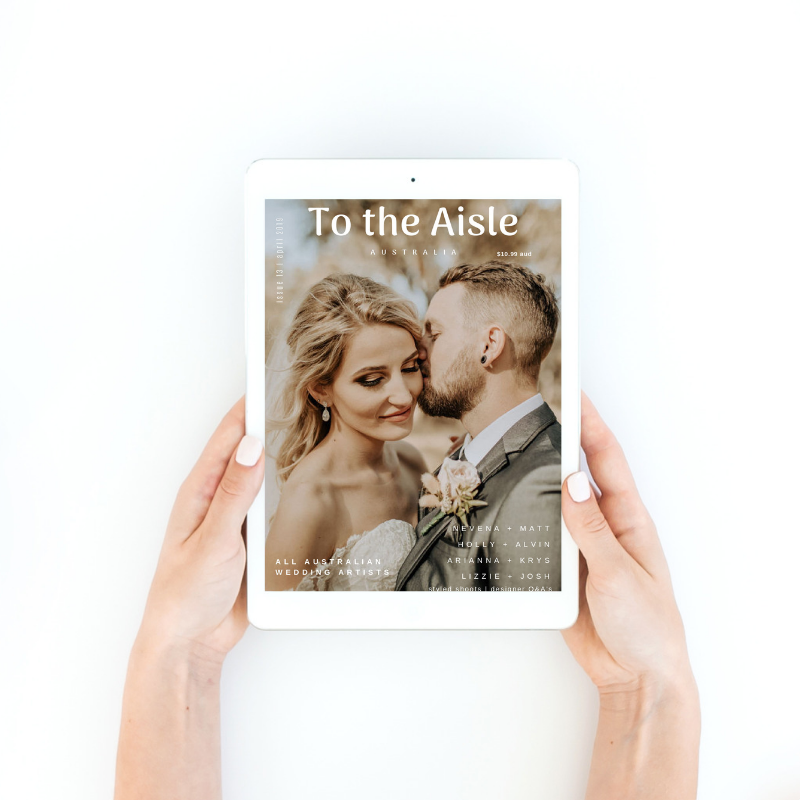 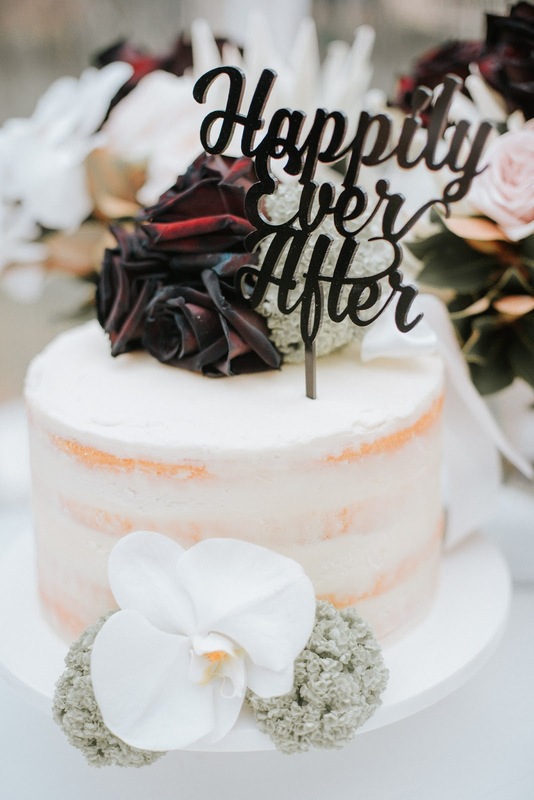 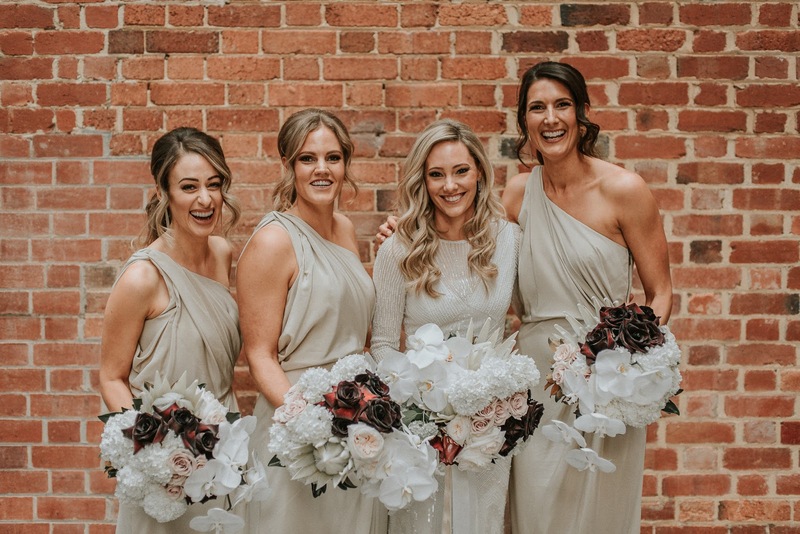 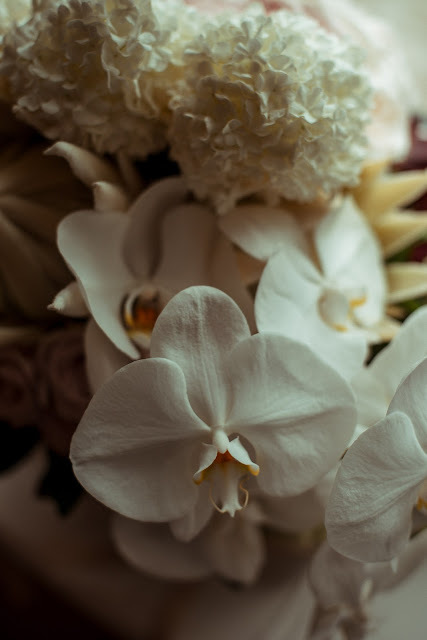 Captured so beautifully by Shannon from Shannon Stent Images, they then rounded up the Bridal party for a portrait shoot around the city and King's Park to finally arrive at the ceremony location, Lamonts Bishop's House. 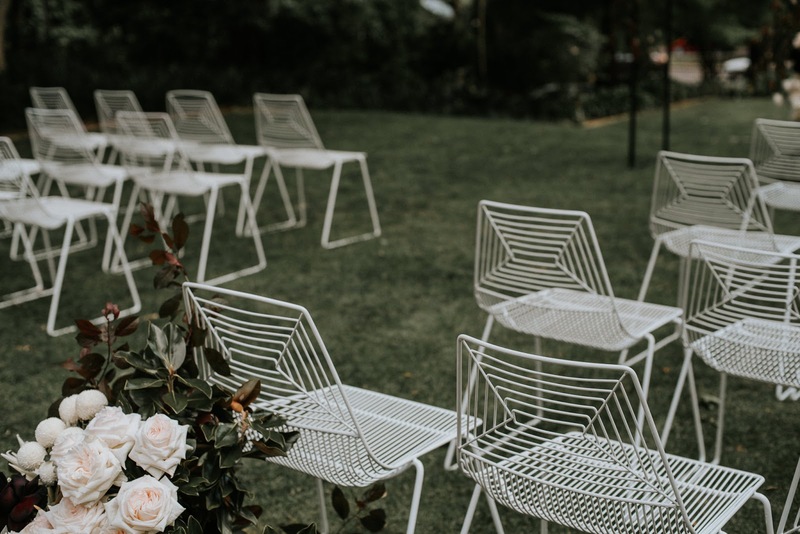 Everyone had already had such a fun and satisfying day and they were yet to even have the ceremony. 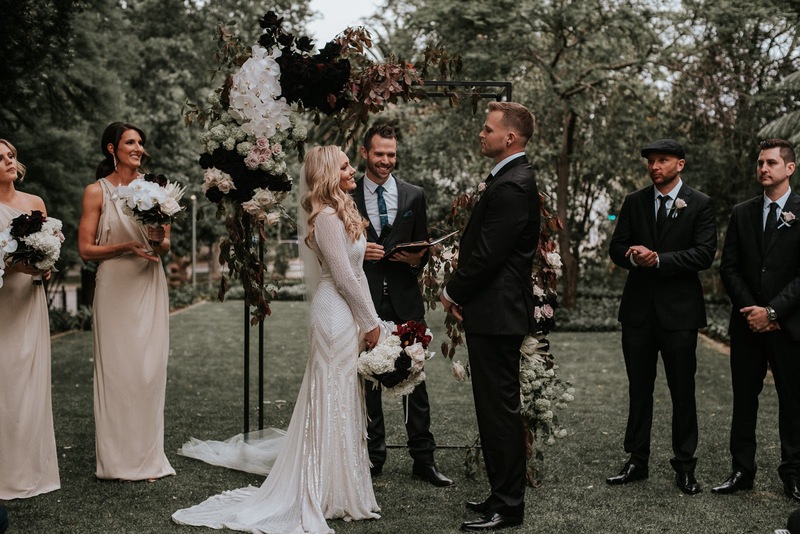 As the sun set over the couple's gorgeous garden ceremony, Kate and Tyson became husband and wife, happily signing away on the dotted line. 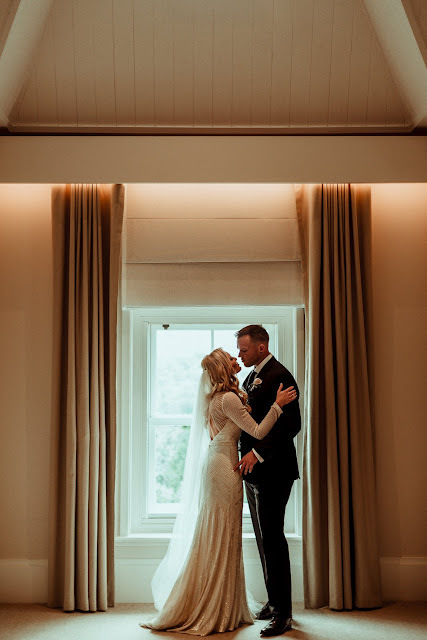 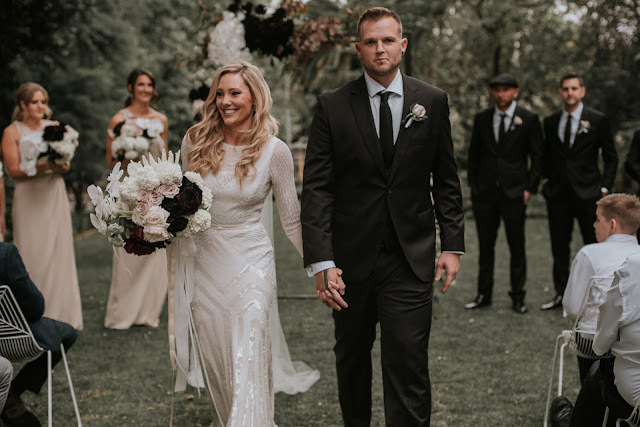 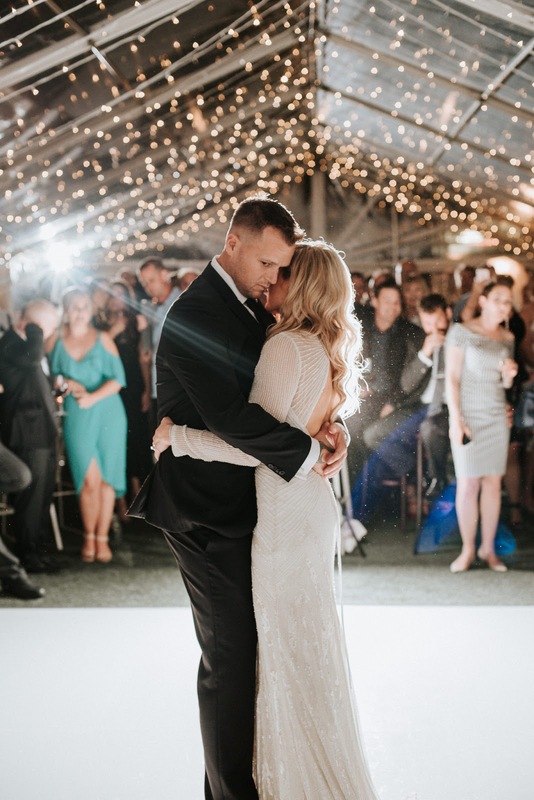 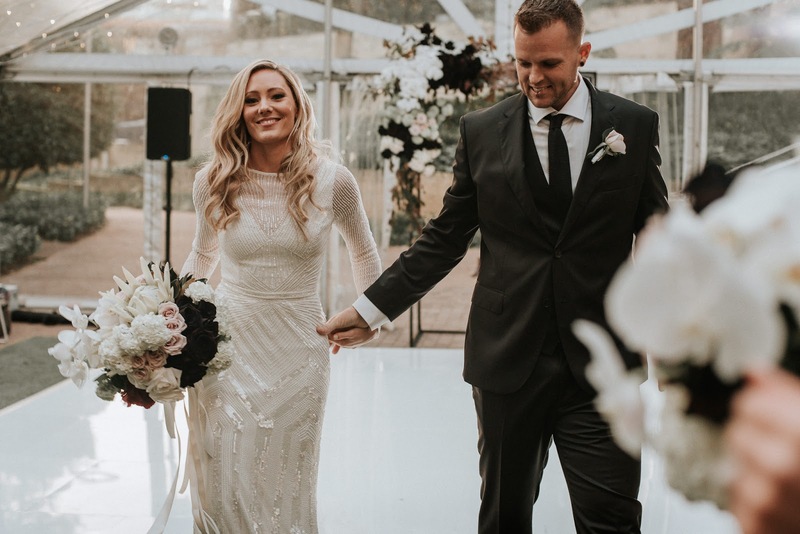 After family photos took place in the lush gardens of Lamont's Bishops House, it was time to join their friends and family for champagne and canapes followed by a marquee reception to dance the night away under the stars.